The Holocaust was an attempt by Nazi Germany to eradicate all Jews in Europe during World War II; as many as 17 million people died, 6 million of which were Jews. The Holocaust was the worst genocide in history and led to the establishment of international laws against human rights violations. Jews were not the only victims of the Nazis. The Nazis also killed people who opposed their ideology, Gypsies, Jehovah's Witnesses, the mentally impaired and physically disabled, homosexuals, Soviets, and Prisoners of War. 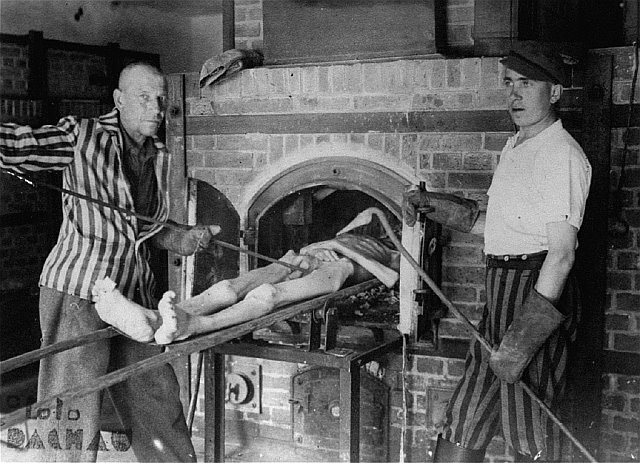 Please note that this web page contains images from the Holocaust that may be disturbing to some viewers. To avoid seeing the pictures, select the "TEXT ONLY" option on your computer, phone, or tablet device. A lot of groups of people have been persecuted throughout history – but few can point to page #7 of The Bible as when their maltreatment began. Clearly, the persecution of Jews (called anti-Semitism) had existed long before the days of Adolf Hitler. In the minds of anti-Semites, Jews represent mysterious, mythical, and evil forces; are all-powerful; and play a sinister role in world history. In Biblical times, Jews were blamed for the death of Jesus Christ. During the Middle Ages, most jobs were run by guilds (sort of like unions). To join a guild, you had to be a Christian. The two jobs that did not require membership in guilds: bankers and tax collectors (which also happened to be the two most despised professions). 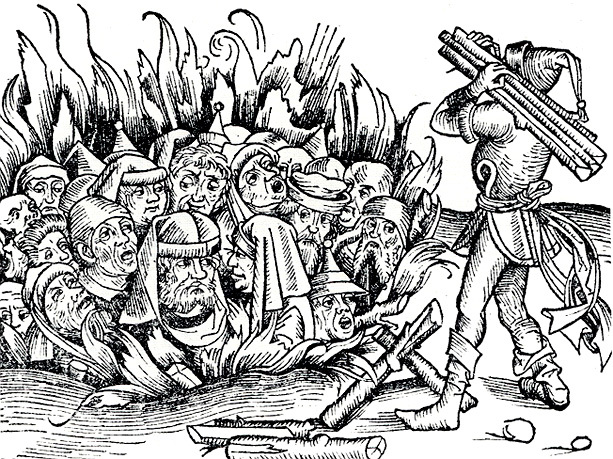 During the Protestant Reformation, the German reformer Martin Luther wrote a pamphlet called "On the Jews and their Lies" in 1542. 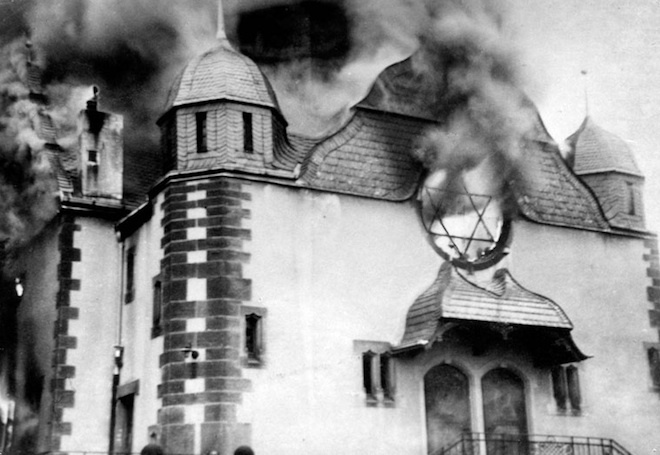 It used extremely violent language and called on Christians to set synagogues on fire, to destroy Jewish houses, to put Jews in stables, and advised rulers to banish Jews from their countries. By the 19th Century, Jews in most European countries were granted rights equal to those of Christians. The Industrial Revolution had started, and Jews played a significant role as entrepreneurs in the newly developing industries. Their rapid social and economic mobility made them one of the most visible symbols of modernization. Those that opposed this rejuvenation blamed the Jews. In the mid-19th Century, Social Darwinism took hold. According to this theory, humanity was divided into "higher" and "lower" races. Jews were seen as a threat to the "purity" of the "higher" races. 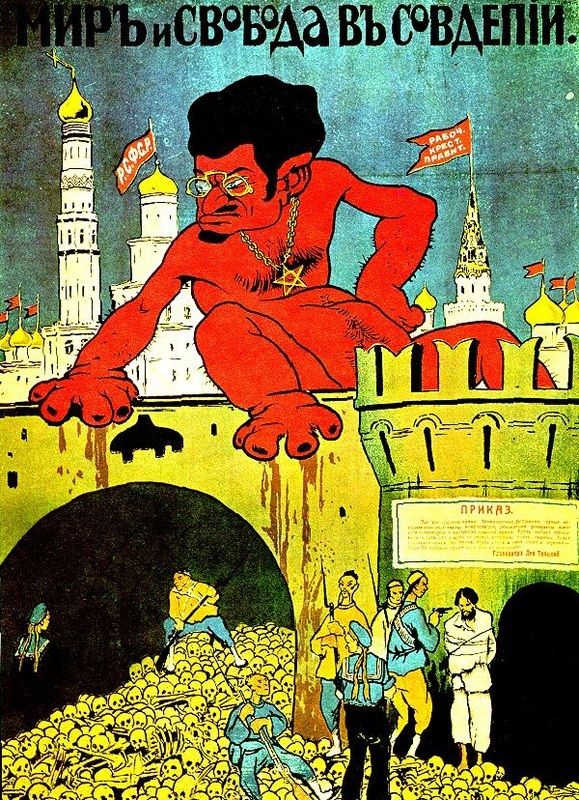 Many of the leaders of Russia's Communist-led Bolshevik Revolution of 1917 were Jewish, which gave anti-Communists new anti-Semitic ammunition. In the period between the end of World War I and the start of World War II, anti-Semitic measures became official state policy in some countries. 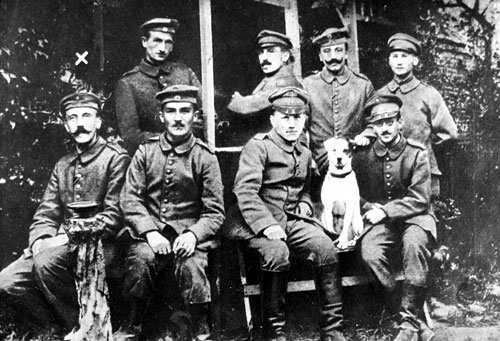 Many Germans blamed the Jews for Germany's defeat in World War I because Jewish-owned banks refused to continue to fund the conflict after four years. After the war, a republic known as the Weimar Republicwas set up in Germany. Jewish politicians and intellectuals played an important role in German life during the Weimar Republic, and many non-Jews resented their influence. On the basis of his anti-Semitic views, Nazi leader Adolf Hitler attacked the role Jews played in German society during the Weimar Republic, especially in the intellectual world and in left-wing politics. He referred to them as a plague and a cancer. In his book Mein Kampf (My Struggle), which was published in 1926, Hitler blamed the plight of Germany on an international Jewish conspiracy and used terms such as extirpation and extermination in relation to the Jews. He wrote that Germany needed to either physically remove them... or eradicate them. As soon as the Nazis assumed power, they made racism and anti-Semitism central components of their regime. 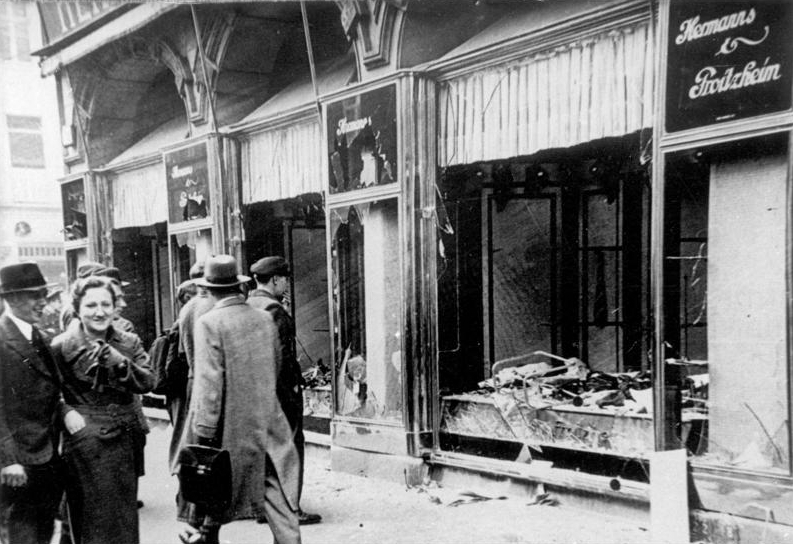 During its first months in power, the Nazi Party instigated anti-Semitic riots and campaigns of terror that climaxed on April 1, 1933, in a countrywide boycott of Jewish-owned shops and Jewish professionals (physicians and lawyers). In addition, the new government issued regulations and ordinances to deprive Jews of their civil rights and economic means of survival. Hitler and the other Nazis wanted to implement a comprehensive legal framework for their anti-Semitic policies. One early decree was a definition of the term Jew. Crucial in that determination was the religion of one's grandparents. Anyone with three or four Jewish grandparents was automatically a Jew, regardless of whether that individual was a member of the Jewish community. 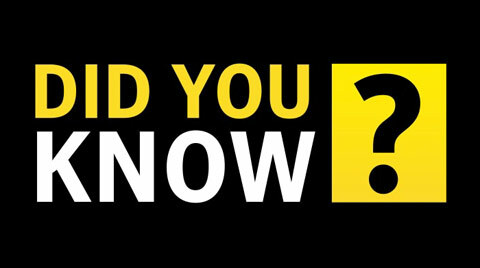 Those with two Jewish grandparents, known as half-Jews, were considered Jewish only if they themselves belonged to the Jewish religion or were married to a Jewish person. All other half-Jews, and persons who had one Jewish grandparent, were classified as Mischlinge (half-breeds). Jews and Mischlinge were "non-Aryans" in contrast to "pure" Germans, who were "Aryans". On September 15, 1935, the Reichstag (German Parliament) met in Nürnberg (also spelled Nuremberg) and passed two laws, known as the Nürnberg Laws. The first, the Reich Citizenship Law, declared that only individuals of "German blood" could be citizens of the German Reich, thus depriving German Jews of their citizenship. The second, the Law for the Protection of German Blood and German Honor, formalized barriers between Jews and Germans, forbidding marriage and sexual relations between Jews and "Aryans". After the outbreak of World War II in September 1939, top Nazis searched for what they termed a "final solution to the Jewish question". (These top officials included Heinrich Himmler, Hermann Göring, Reinhard Heydrich, and Adolf Eichmann.) The SS, an elite section of the Nazi Party, was put in charge. The SS proposed two options. The first was the establishment in southeastern Poland of a reservation to which Jews would be deported. The second was the deportation to the island of Madagascarof all 4 million Jews in the countries then occupied or controlled by Germany. (At that time, Madagascar, off the southeastern coast of Africa, was a colony of France.) Neither of these proposals were adopted. 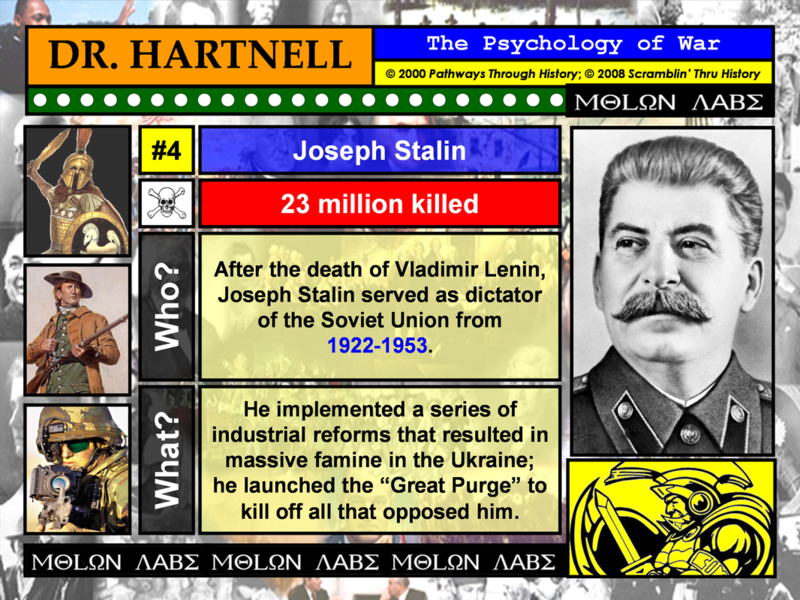 In late 1940, the Nazis began planning an invasion and conquest of Soviet Union. That planning led them to abandon both ideas. Before these plans were dropped, however, the Germans carried out a preliminary step to future deportations to concentration camps or to the planned Jewish reservation. Jews in Polandwere forced to move into ghettos, where they were ordered to set up Jewish councils that would carry out German orders. 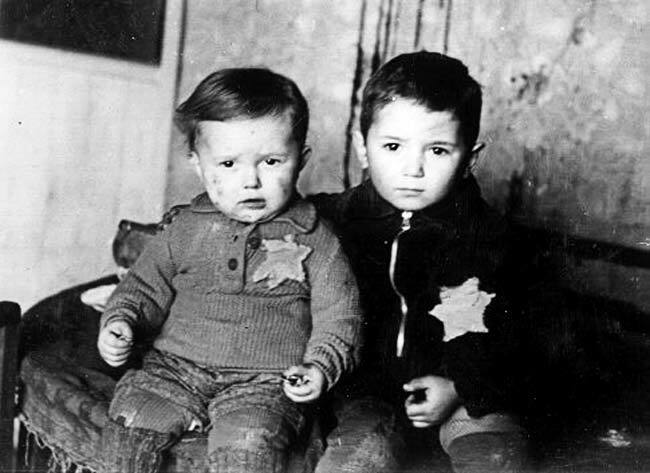 They were also forced to wear a yellow Jewish star (the "Star of David") on their clothing and to perform forced labor. 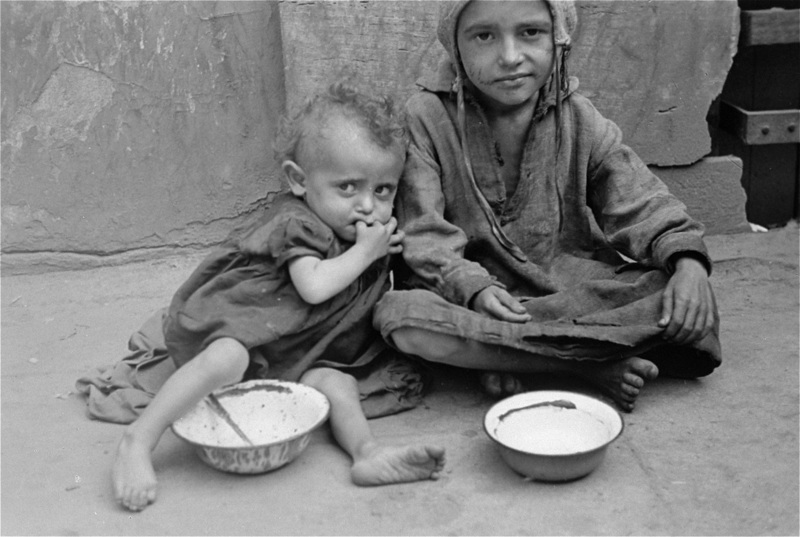 Atrocious living conditions, such as overcrowding, lack of proper sanitation and health services, and meager food rations, resulted in a high mortality rate among the inhabitants of the ghettos. In the Warsaw ghetto, for example, 20% died in 1941. When the death toll didn't meet Hitler's expectations, he had things "sped up" by sending teams of firing squads (called Einsatzgruppen) in after German invading troops to shoot all Jews on the spot. This resulted in approximately 1.5 million murders. Hitler eventually ceased this practice in favor of the more impersonal mass exterminations of the concentration camps. 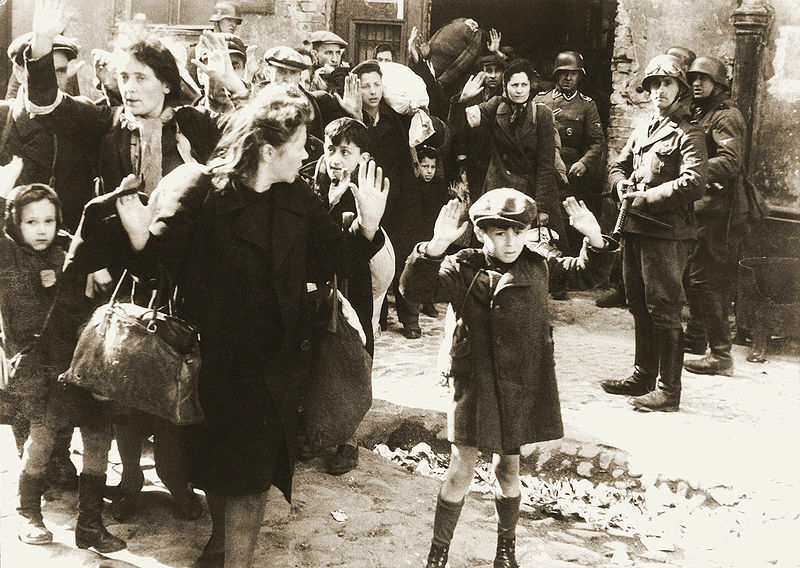 In the fall of 1941, the Nazis began deporting all Jews in order to exterminate them. In the meantime, in Germany, they continued exterminating people who were mentally impaired or severely disabled. In July 1942, Hitler wanted all Polish Jews killed. To do this, three main gassing centers were built: Bełżec, Sobibór, and Treblinka (all in Poland). Other camps were built that combined forced labor and extermination facilities (like Auschwitz, Birkenau, Buchenwald, and Dachau). Millions died in these camps. As Allied troops moved across Europe, they began to encounter thousands of concentration camp prisoners. 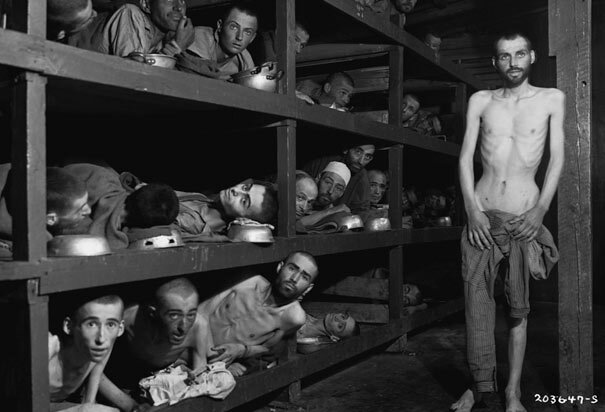 Many of these prisoners had survived forced marches into the interior of Germany from camps in occupied Poland. Soviet forces were the first to approach a major Nazi camp, reaching Majdanek in Poland in July 1944. Surprised by the rapid Soviet advance, the Germans tried to hide the evidence by demolishing the camp. 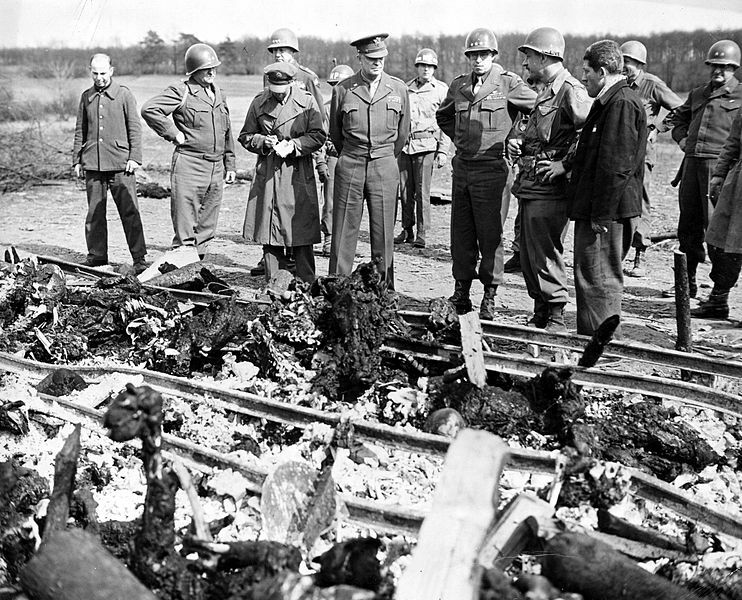 Camp staff set fire to the large crematorium used to burn bodies of murdered prisoners, but in the hasty evacuation the gas chambers were left standing. 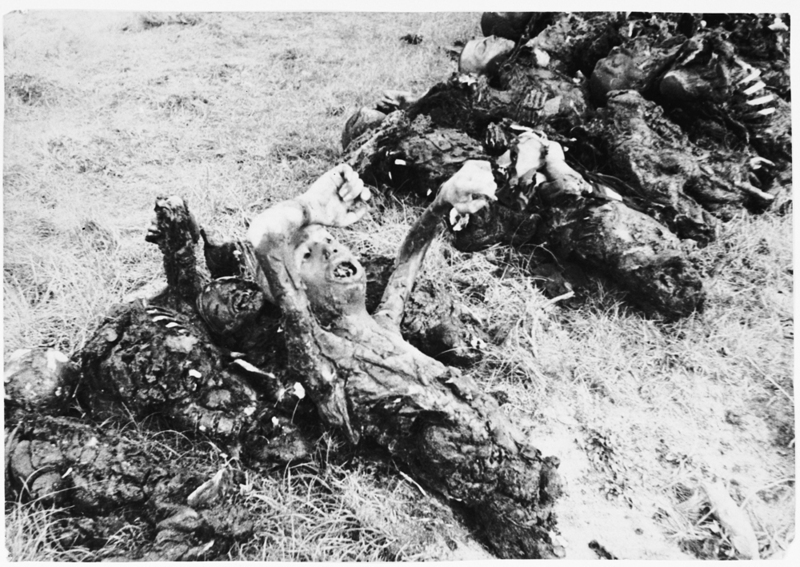 In the summer of 1944, the Soviets also overran the sites of the Belzec, Sobibor, and Treblinka killing centers. The Germans had dismantled these camps in 1943, after most of the Jews of Poland had been killed. 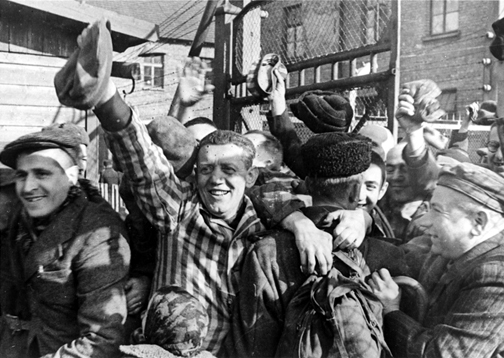 The Soviets liberated Auschwitz, the largest killing center in January 1945. The Nazis had forced the majority of Auschwitz prisoners to march westward (in what would become known as "death marches"), and Soviet soldiers found only several thousand prisoners alive when they entered the camp. 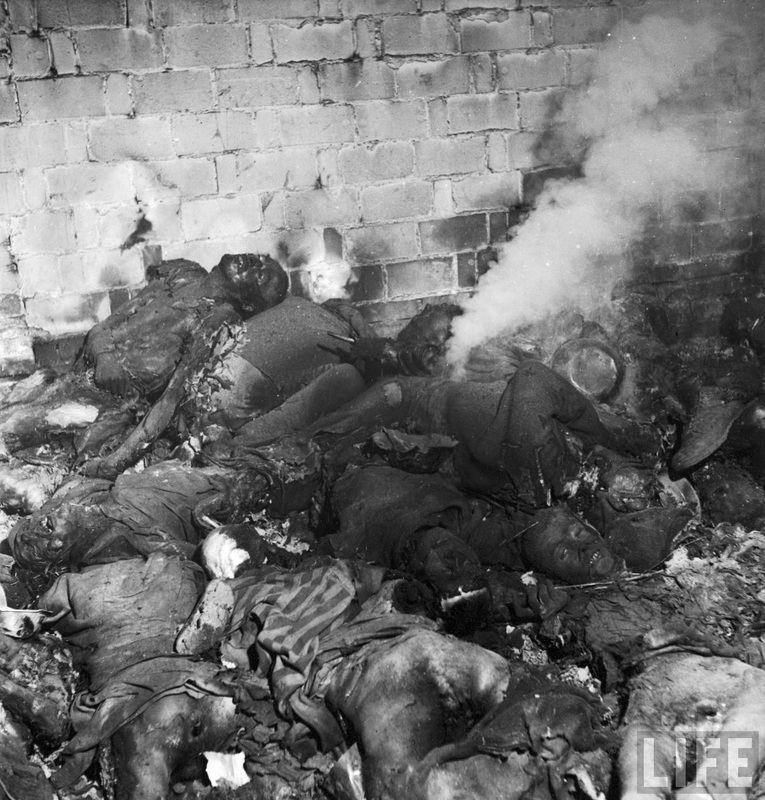 There was abundant evidence of mass murder in Auschwitz. The retreating Germans had destroyed most of the warehouses in the camp, but in the remaining ones the Soviets found personal belongings of the victims. They discovered, for example, hundreds of thousands of men's suits, more than 800,000 women's outfits, and more than 14,000 pounds of human hair. 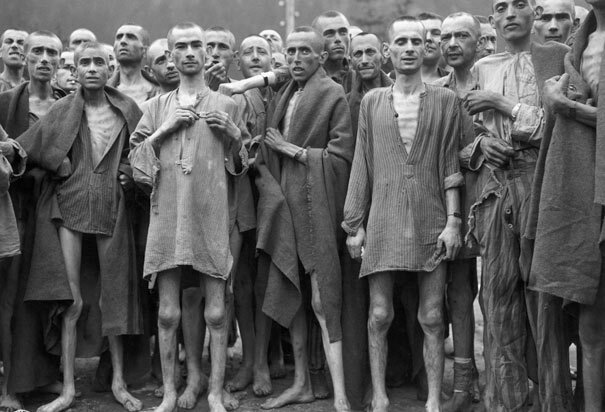 U.S. forces liberated the Buchenwald concentration camp on April 11, 1945, a few days after the Nazis began evacuating. 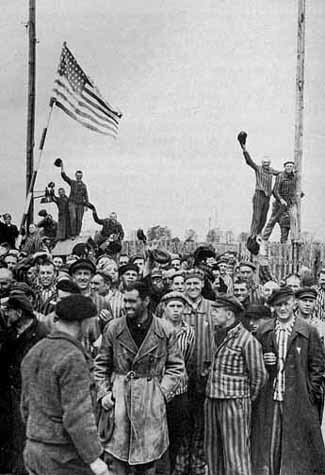 American forces liberated more than 20,000 prisoners at Buchenwald. They also liberated Dora-Mittelbau, Flossenbürg, Dachau, and Mauthausen. 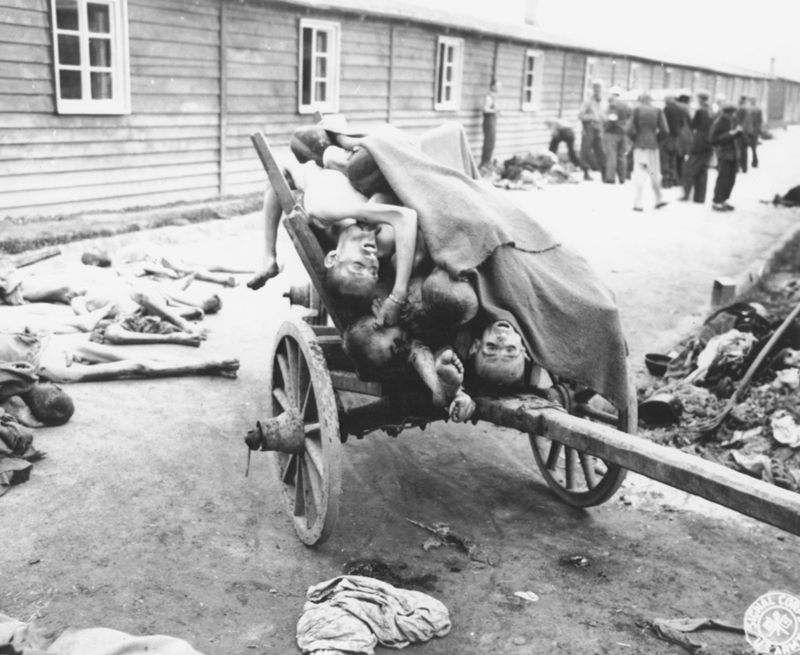 Liberators confronted unspeakable conditions in the Nazi camps, where piles of corpses lay unburied. 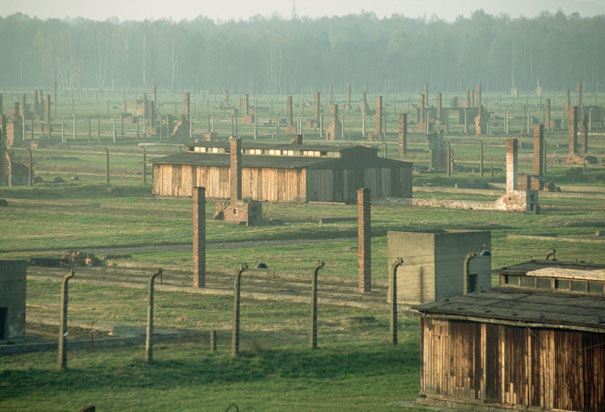 Only after the liberation of these camps was the full scope of Nazi horrors exposed to the world. The small percentage of inmates who survived resembled skeletons because of the demands of forced labor and the lack of food, compounded by months and years of maltreatment. Many were so weak that they could hardly move. 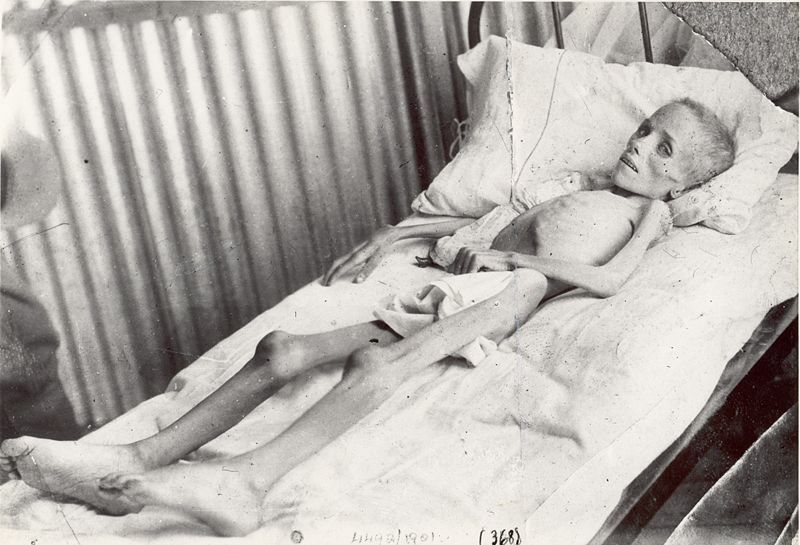 Disease remained an ever-present danger, and many of the camps had to be burned down to prevent the spread of epidemics. 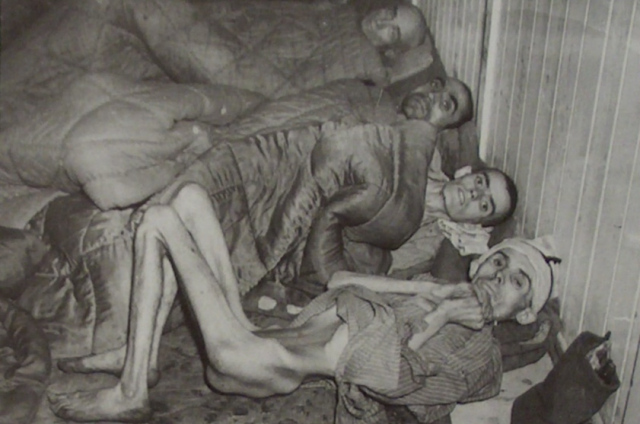 Survivors of the camps faced a long and difficult road to recovery. Sadly, thousands died even after liberation. 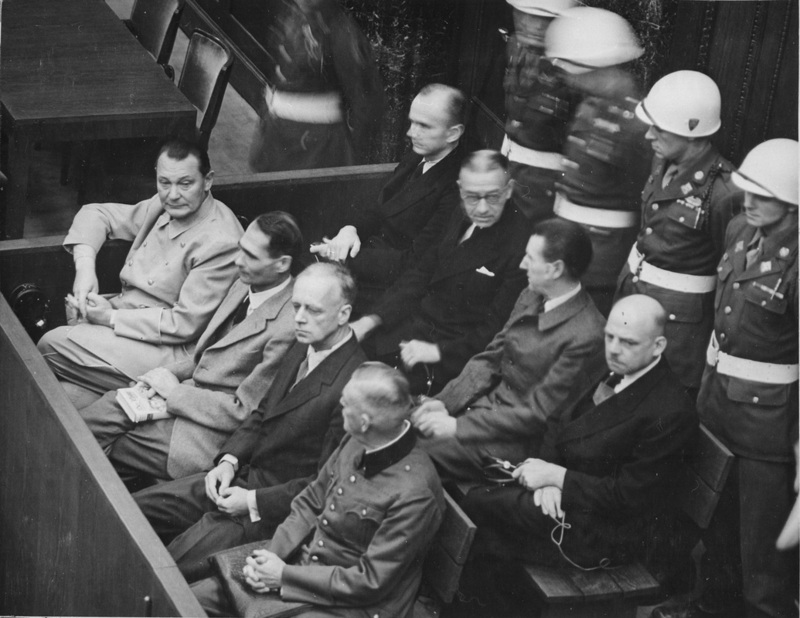 After the war, the Allies established an International Military Tribunal at Nürnberg (Nuremberg), Germany, to prosecute the surviving Nazi leaders for war crimes and crimes against humanity. At the most important of the war crimes trials, held in 1945 and 1946, 22 top leaders of Nazi Germany were found guilty, and of these, 12 were sentenced to death. In addition, military and civilian tribunals in many countries conducted hundreds of trials. 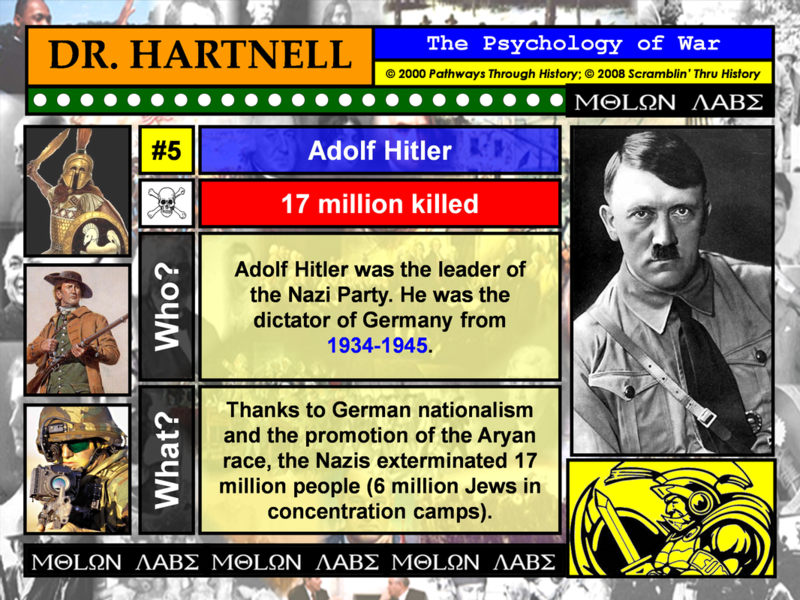 The governments set up by the Allies in Germany removed tens of thousands of Nazis from official positions. In Germany alone, close to 90,000 war crimes cases were opened. Later, in 1948, a United Nations (UN) resolution established "crimes against humanity" as a crime under international law with no limitation period for the prosecution of those accused. Based on this, France has convicted a number of former Nazis and the U.S. has revoked the citizenship of several who immigrated there. 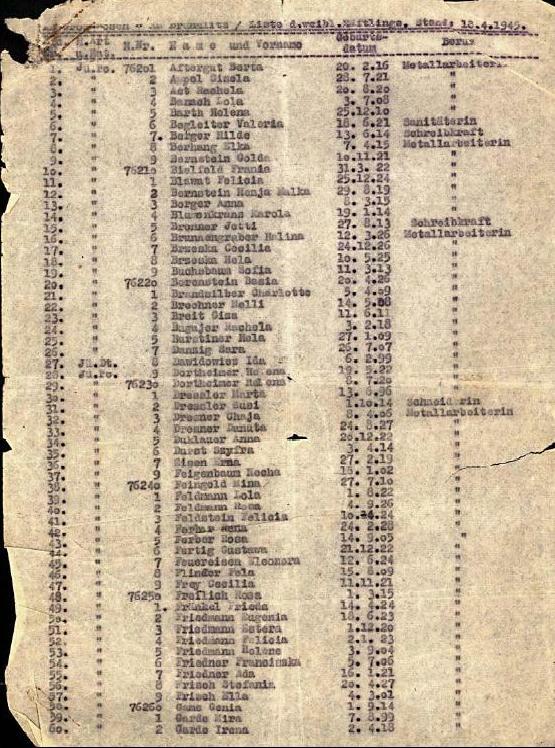 After the war some 250,000 Jewish survivors made their way to camps for displaced persons that were operated by the Allies in Germany, Austria, and Italy. They pressed the U.S. Army and U.S. Government to let them immigrate to Palestine, then under British rule, and the U.S. Government, in turn, pressed the British to accept these refugees. The British refused, and thousands of Jewish survivors boarded ships to emigrate illegally to Palestine. The suffering of the survivors, who had nowhere else to go, and the British policy of stopping these ships and sending the survivors to detention camps in Cyprus caused an outcry in world public opinion. Jews in the U.S. soon mobilized in favor of solving the refugees' problem by creating a Jewish state in Palestine. Under pressure from Jewish refugees and public opinion, the British were eventually forced to ask the UN to resolve the competing Jewish and Arab claims to Palestine. In 1947, the UN voted to partition Palestine into Jewish and Arab states. 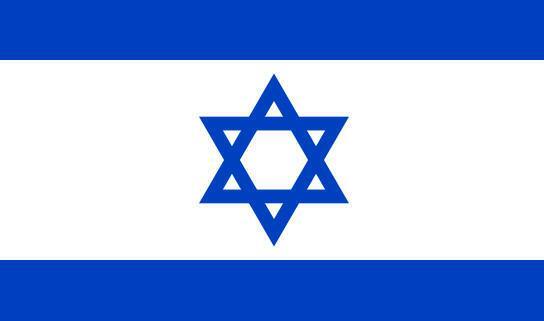 The Jewish state, Israel, was established in May 1948. The word "holocaust" comes from the Greek holo (whole) and caustos (burned) and originally referred to a burnt offering, or a religious sacrifice that is totally consumed by fire. 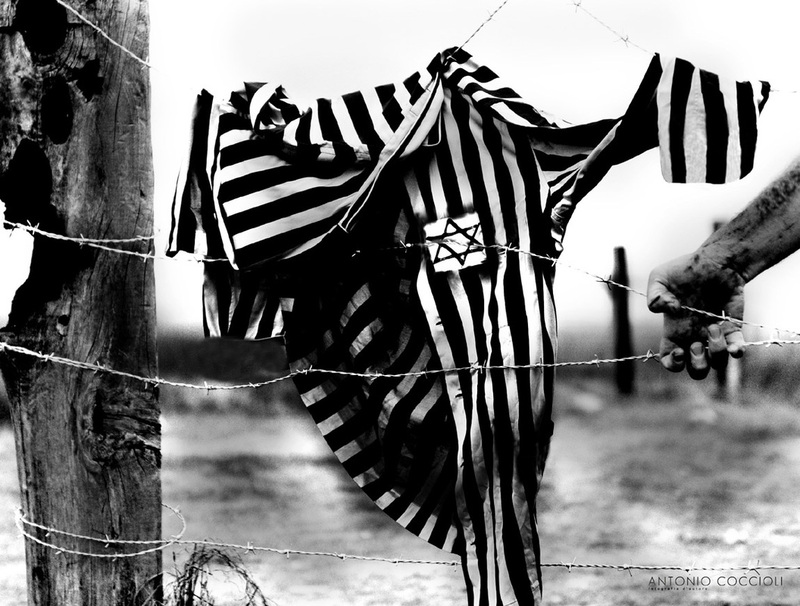 Jews often refer to the Holocaust as Shoah (from the Hebrew word for "catastrophe" or "total destruction"). Anne Frank and her family fled Nazi Germany for the Netherlands in 1933 to avoid persecution. After Germany invaded The Netherlands in 1942, the family spent two years living in a small hidden room in Amsterdam in order to elude capture by Nazi occupation forces. They were discovered in 1944 and arrested. 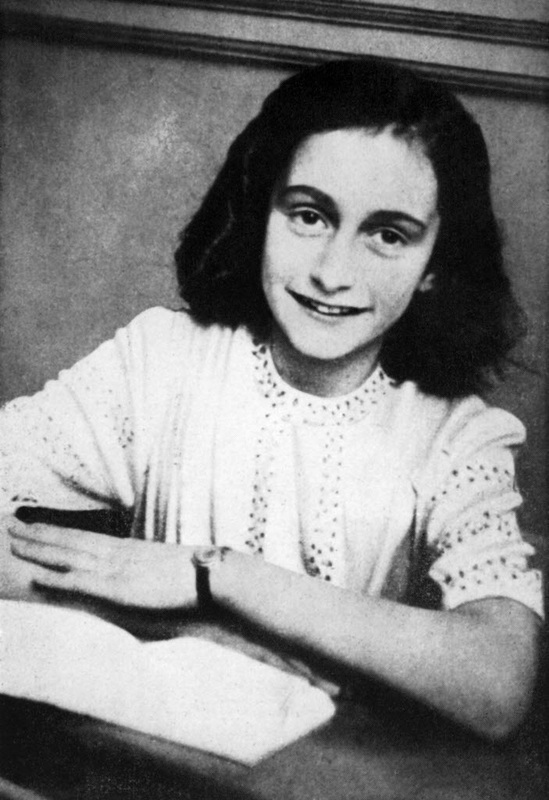 Anne was sent to Bergen-Belsen concentration camp, where she died of typhus the following year at the age of 15. Her famous diary of the years she spent in hiding was later found in the room where she and her family had lived. The diary was published after the war and appeared in English as Anne Frank: The Diary of a Young Girl in 1952. "Never shall I forget that night, the first night in camp, which has turned my life into one long night, seven times cursed and seven times sealed. Never shall I forget that smoke. Never shall I forget the little faces of the children, whose bodies I saw turned into wreaths of smoke beneath a silent blue sky. Never shall I forget those flames which consumed my faith forever. Never shall I forget that nocturnal silence which deprived me, for all eternity, of the desire to live. Never shall I forget those moments which murdered my God and my soul and turned my dreams to dust. Never shall I forget these things, even if I am condemned to live as long as God Himself. Never." 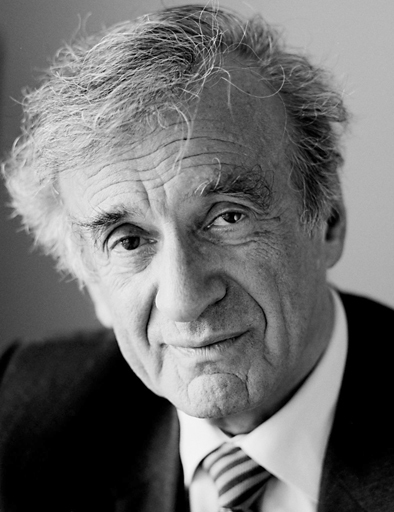 Wiesel survived Auschwitz, Buna, Buchenwald, and Gleiwitz. Sadly, no one else in his family lived. 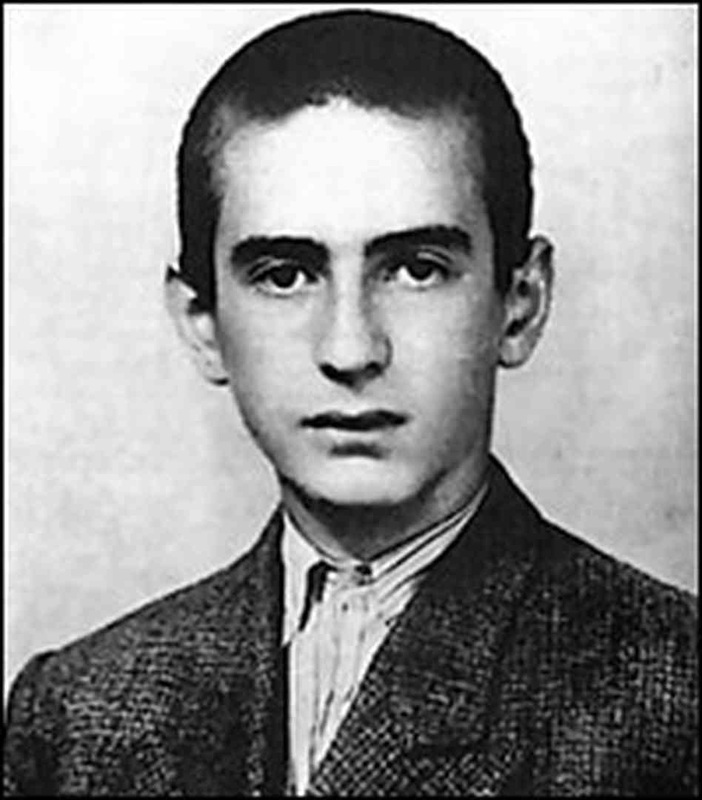 After the liberation of the camps in April 1945, Wiesel spent a few years in a French orphanage and in 1948 began to study in Paris. He became involved in journalistic work, which eventually influenced him to break his vowed silence and write about his experience in the concentration camps. The book Night details the horrors of his experience. Despite the overwhelming odds against the Jews, there were many examples of Jewish armed resistance. In the ghettos of Eastern Europe, Jewish fighting groups were formed. Jews who managed to escape from the ghettos joined the partisans (the anti-Nazi resistance movement) in the forests. About 30,000 Jews from Eastern Europe fought in the ranks of Soviet partisans. Armed uprisings broke out in several ghettos, the most noteworthy being in Warsaw in April 1943. 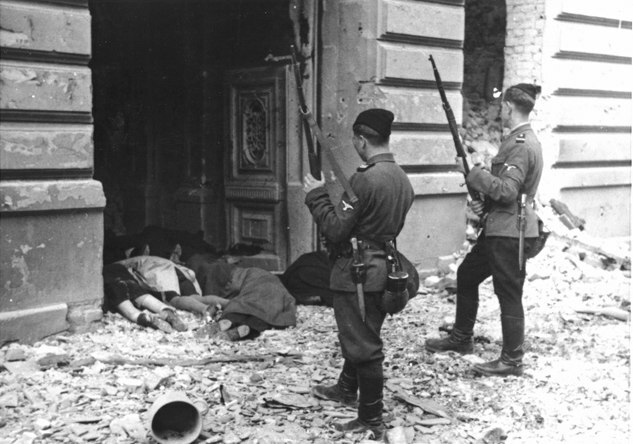 During this one month "Warsaw Ghetto Uprising", 17 Nazis were killed and 93 wounded. However, over 13,000 Jews died and the remaining 50,000 residents were shipped off to Treblinka. Still, even at the death camps of Sobibór, Treblinka, and Auschwitz ,revolts broke out. In the occupied countries of Western Europe, Jews joined numerous resistance organizations. They concentrated on hiding Jewish children and smuggling Jews into neutral countries such as Switzerland and Spain. Oskar Schindler (1908-1974) was a German businessman and industrialist who protected Jews from Nazi persecution during World War II. After the German invasion of Poland in 1939, Schindler moved to Kraków to run an enamelware factory that employed Jewish laborers. Schindler's factory became a haven for the Jewish workforce because Schindler was able to use his connections in the German Government to prevent his workers from being deported to concentration camps. Schindler was irritated because Nazi brutalities interfered with production in his factories, but he was also sympathetic to the plight of the Jews. By 1940, the Nazis had forced all the Jews in Kraków to live in a ghetto. In 1943, the Nazis decided to destroy the Kraków ghetto and ordered all the Jews there to be moved to a concentration camp. Schindler built a camp for his workers on his factory grounds and convinced the German authorities to let his employees stay there. When the Russian Army began closing in on Kraków in 1944, the Germans issued orders to transport all the Jews in Schindler's camp to Auschwitz to be exterminated. Schindler, by bluff and bribery, convinced the Nazis to let him move his factory to Czechoslovakia instead. He had a register prepared ("Schindler's list") of more than 1,100 employees he wanted to accompany him to the new factory. They remained in Czechoslovakiain relative safety until the end of the war. After the war, Schindler moved to Argentina and started a ranch. When the ranch went bankrupt he returned to Germany. In 1961, he was invited to Israel, where a memorial was unveiled on his 53rd birthday. 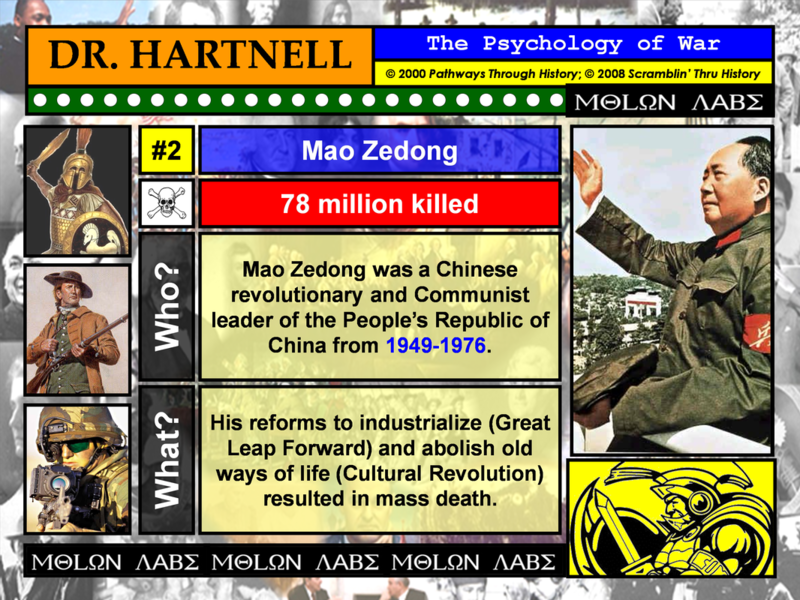 The German Government awarded him the Cross of Merit in 1966 and a state pension in 1968. 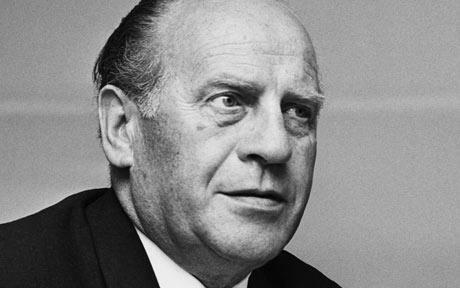 Oskar Schindler died in 1974. A novel by Australian writer Thomas Keneally, Schindler's Ark (1982), introduced Schindler's story to the general public for the first time. 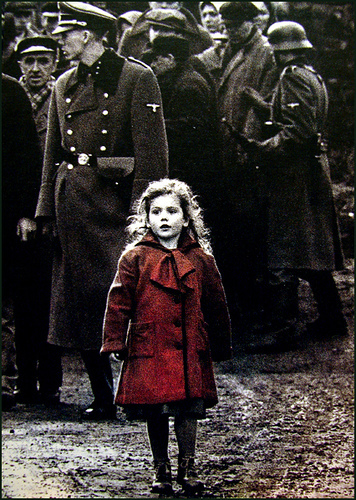 In 1993, the novel was made into a movie by Steven Spielberg called Schindler's List. 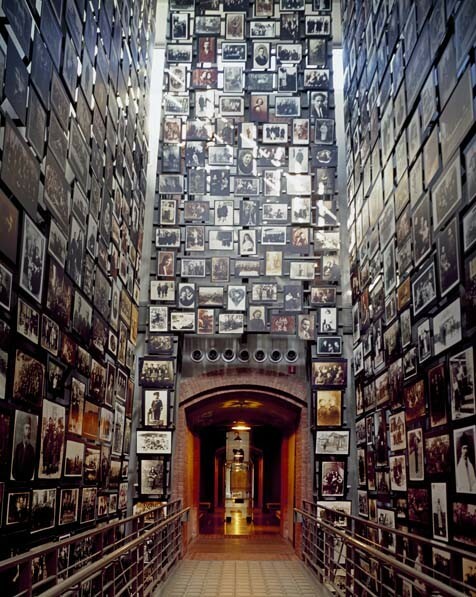 The Holocaust Memorial Museum is a museum in Washington, D.C. that is dedicated to presenting the history of the persecution and murder of 6 million Jews and millions of others during the Holocaust. It was established in 1980 by Congress and opened in 1993. The museum building was designed by architect James I. Freed, who, as a child, escaped Nazi persecution and emigrated with his family from Germany to the U.S. His design reflects the architectural elements of Nazi concentration camps. 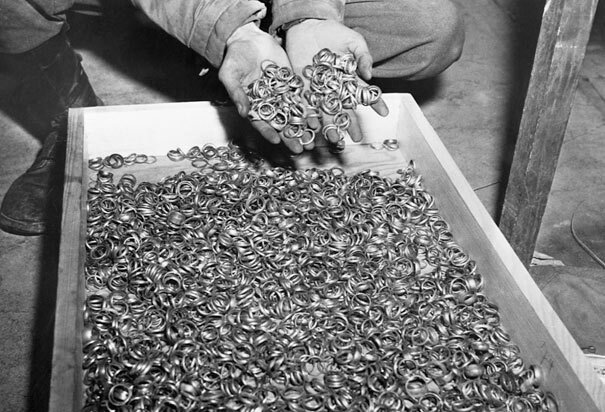 record, including both written evidence and thousands of pictures, that Eisenhower ordered to be assembled when he saw what the Nazis had done. This is the entrance to the infamous Auschwitz-Birkenau death camp that operated four gas chambers where 6,000 people were put to death each day by the Nazi regime. 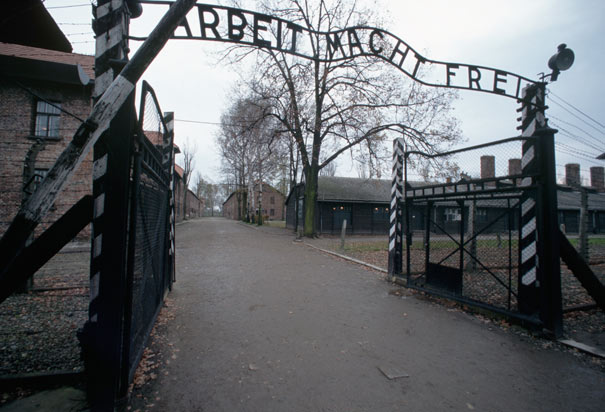 The phrase on the main entrance gateway to the Auschwitz camp translates to "Work will make you free." 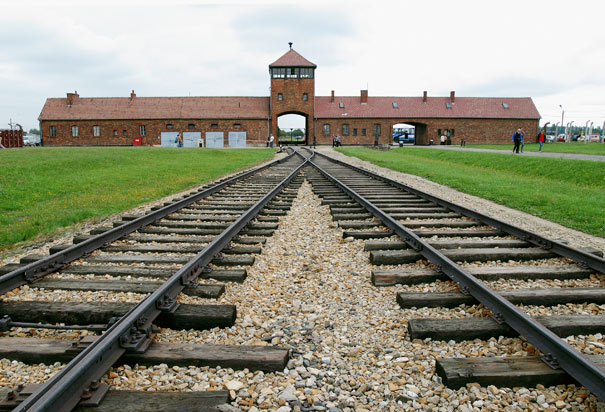 Auschwitz-Birkenau was the largest Nazi concentration camp and extermination camp. Here is a view of the barbed wire fences, buildings, and chimneys at Auschwitz-Birkenau. 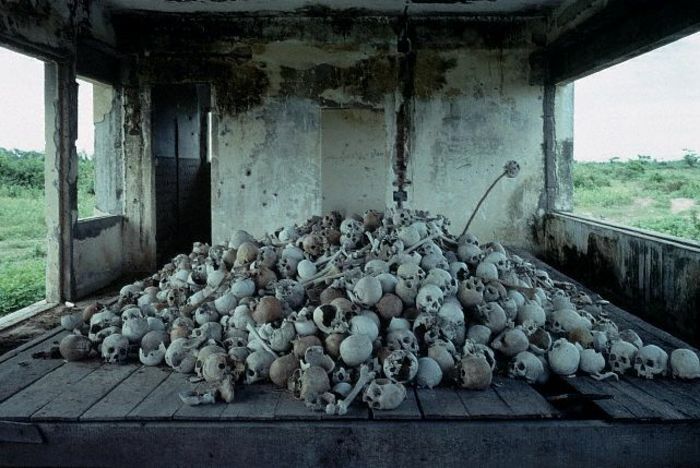 An estimated 1 to 2.5 million people were exterminated here. 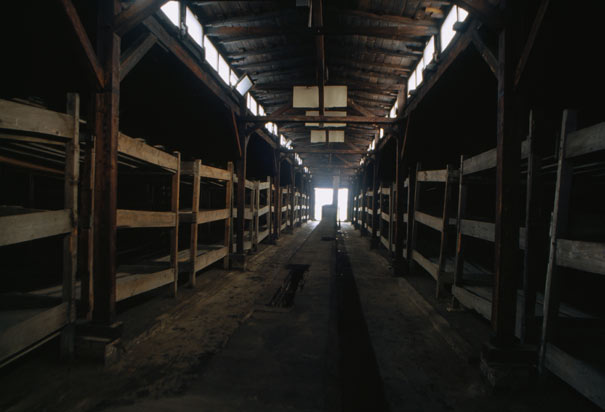 This photo shows the interior of one of the dormitory houses at Auschwitz. 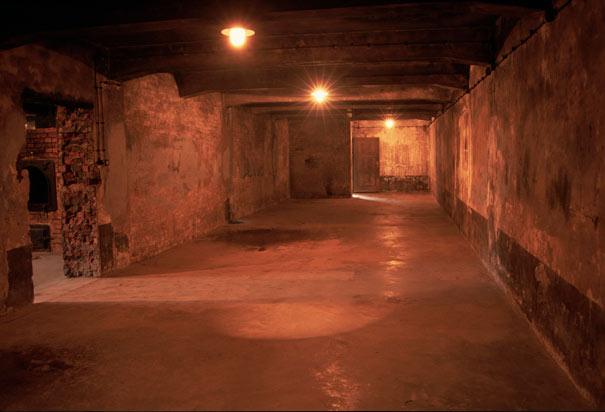 This gas chamber was the largest room in Crematorium I at Auschwitz. The room was originally used as a mortuary but was converted in 1941 into a gas chamber where Soviet POWs and Jews were killed. 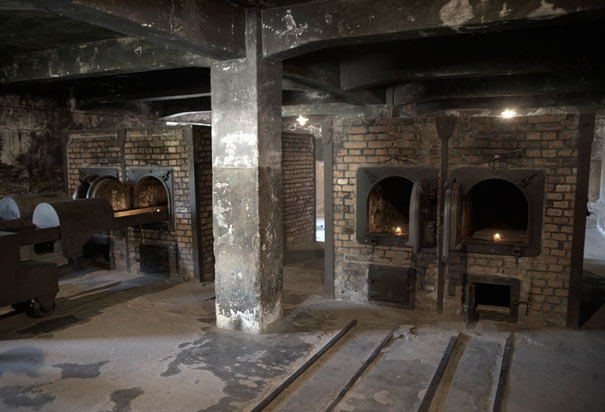 The ovens at Auschwitz cremated the bodies of those who died in the camp. Some leaders make horrible decisions... others are bad presidents... some are bloodthirsty warmongers... and some are extremists. Still, others were architects of the most horrific genocides, systematic murders, and brutal wars... in HISTORY. 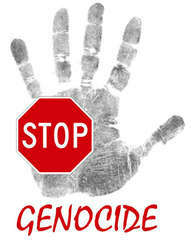 Genocide is the deliberate and systematic destruction, in whole or in part, of an ethnic, racial, religious, or national group. 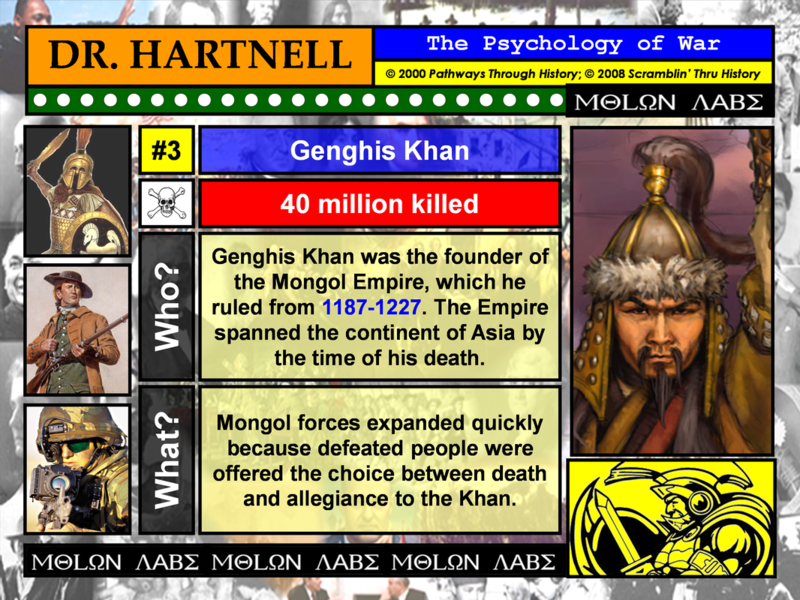 From Carthage to Mongolia... from Germany to Rwanda... and from Somalia to Darfur, genocide and dictatorships have helped sculpt the human experience.